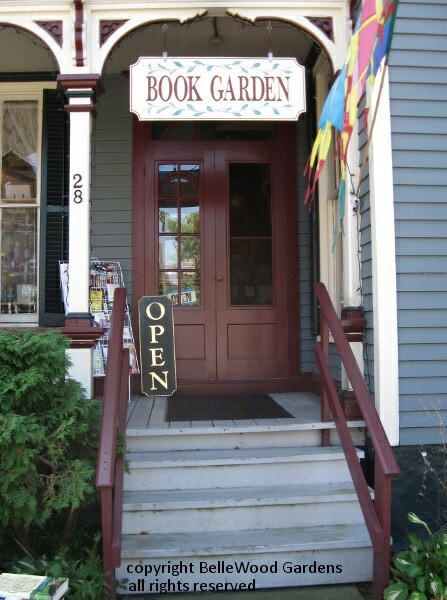 shops such as The Book Garden, Frenchtown's own independent book store, may have a space where for that day they can present and promote their businesses. Caroline and I discussed the possibilities and decided that my book, Preserving Memories, was a good choice to promote. After all, summer's bounty of produce is making that subtle shift towards autumn. Peaches may be ending, but apples are coming into season. 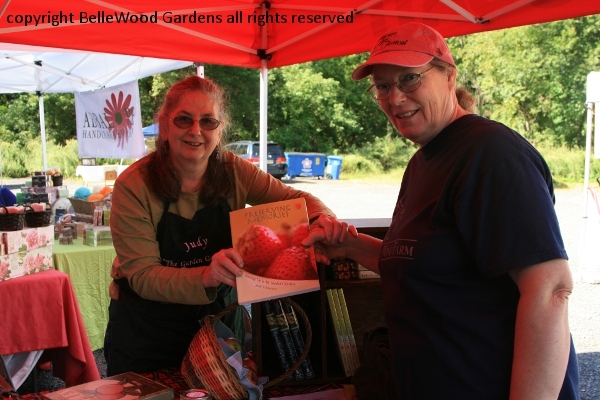 What could be nicer than saving summer in a jar with preserves made from local fruit. 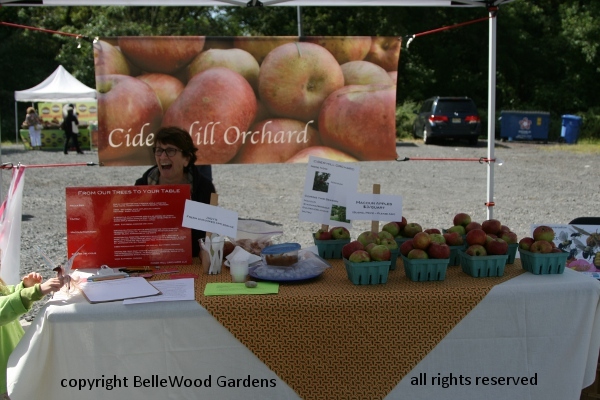 Cider Hill Orchard, another local vendor at the market, had baskets of macoun apples, one of my favorites. 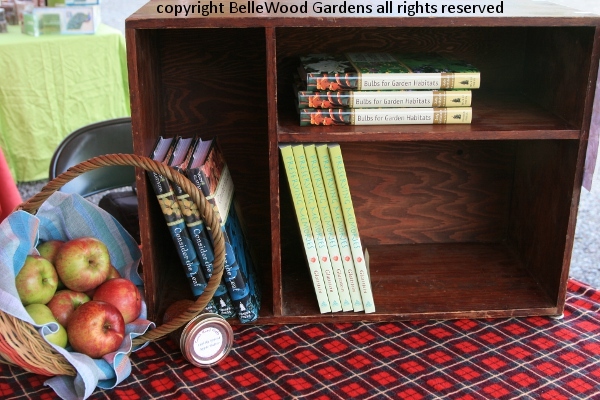 She graciously gave me a punnet of apples to dress my display. Even sent customers over to check out my book. 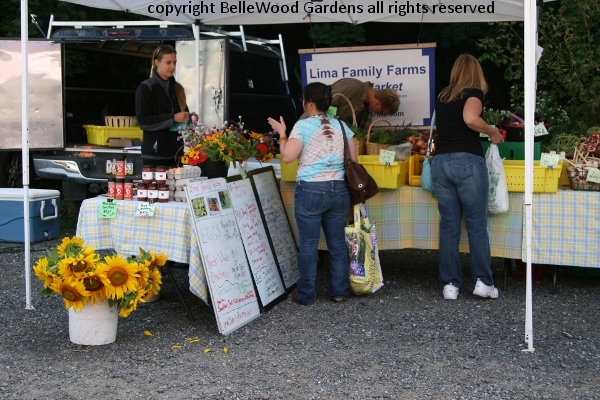 Turn about and fair play - as I was giving away free copies of the recipe for apple butter (from my book, of course) I sent them over to her to buy apples. Fruit butters are the easiest type of preserve to make. As well as apple it can be made from plums, or grapes, or even pumpkin. Fruit butters are lower in sugar proportionate to the fruit, something that some people prefer. Here's my display. "Bring some of your other books." said Caroline. So I brough Bulbs for Garden Habitats and Consider the Leaf, two of my gardening titles. A basket of apples, and a jar of apple butter. Since I don't have an inspected kitchen though, I'm not allowed to even give out tasting samples. And as you can see, this customer was happy with her purchase.